The letters have gone out and there has been a great response from the pupils. There is still time left to get your slips back, but be quick - places are filling fast! A very hard decision was made as the Hogarth Sports Council was chosen today. Mr. Smith received a large number of outstanding letters from pupils stating their case as to why they should be elected. Nora, Max, Sophie, Zion, Hari , Sunnie, Alice, Mia, Leila, Ruby. I am sure you will do Hogarth proud! 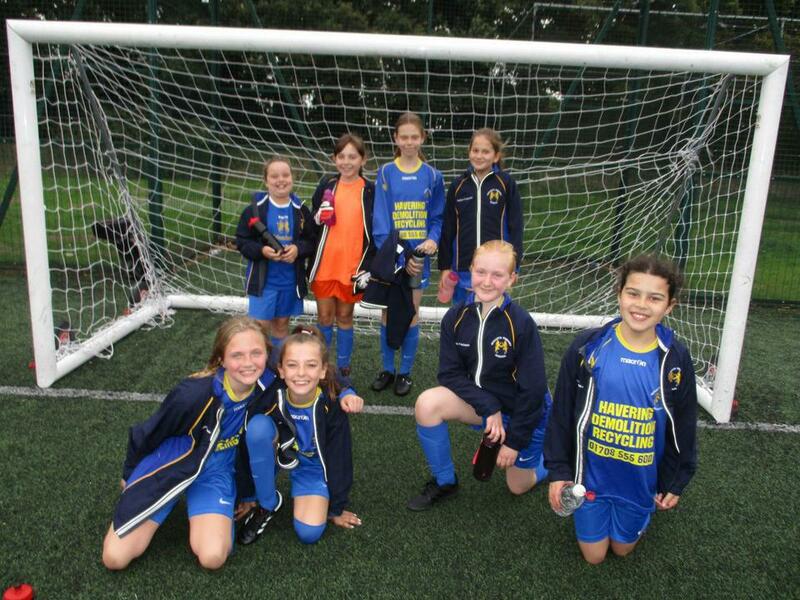 Year 4 pupils attended a football tournament at Brentwood Ursuline School on Thursday 28th September. The team did Hogarth proud and improved with every game. Players received a certificate for their achievements in Friday's Celebration Assembly. 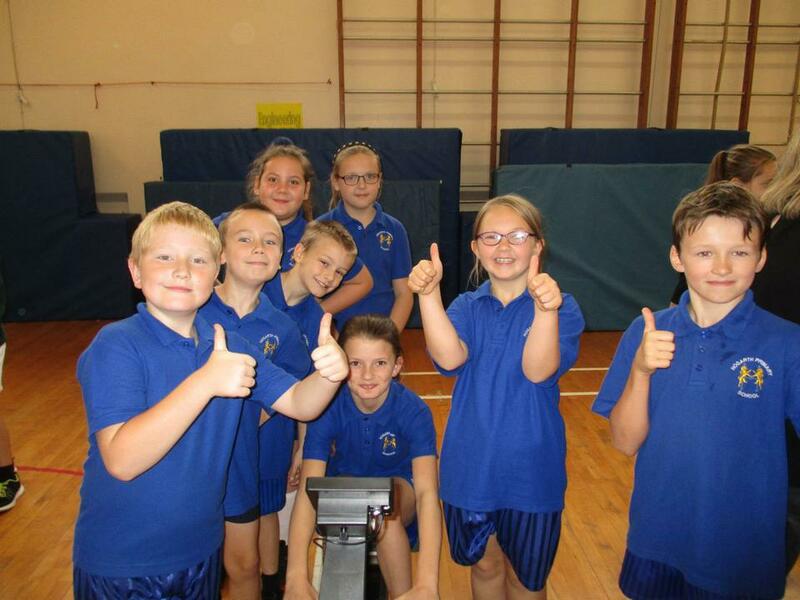 On 3rd October 2017, at Shenfield High School, Year 5 took part in an indoor rowing competition. The 4 boys and 4 girls who were chosen to participate were a credit to the school, showing wonderful teamwork and respect to their peers. They all did very well and thoroughly enjoyed the day. A special mention goes to Tyla who finished in 2nd place in the individual girls’ event. 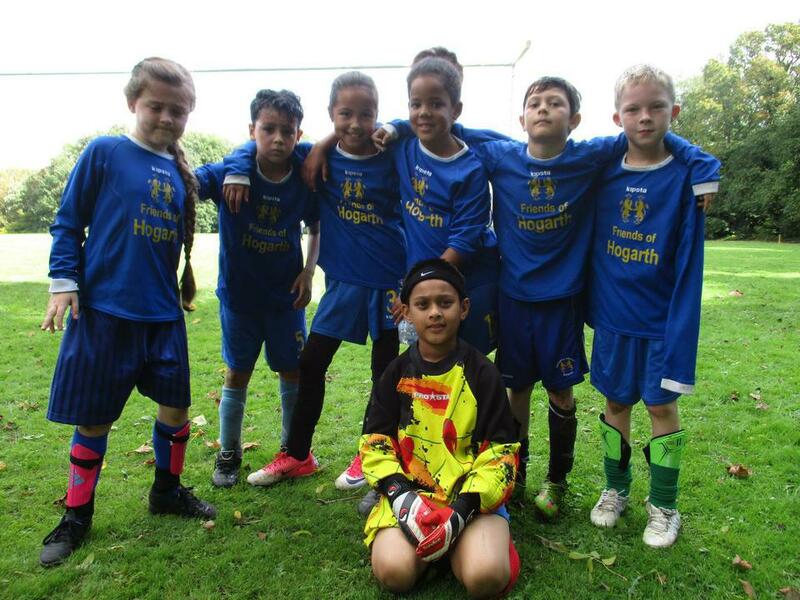 Hogarth attended the annual Girls Football Tournament at Shenfield High School and received praise from organisers and schools alike for their sportsmanship and mindset. 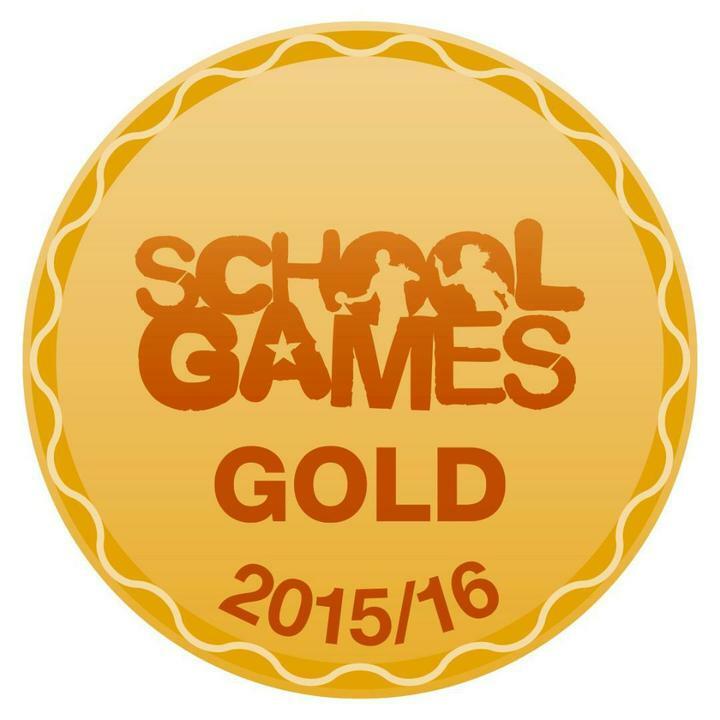 The team was made up of Year 5 and 6 pupils, all of who were taking part in their first ever games. Well done girls, Hogarth is proud of you! 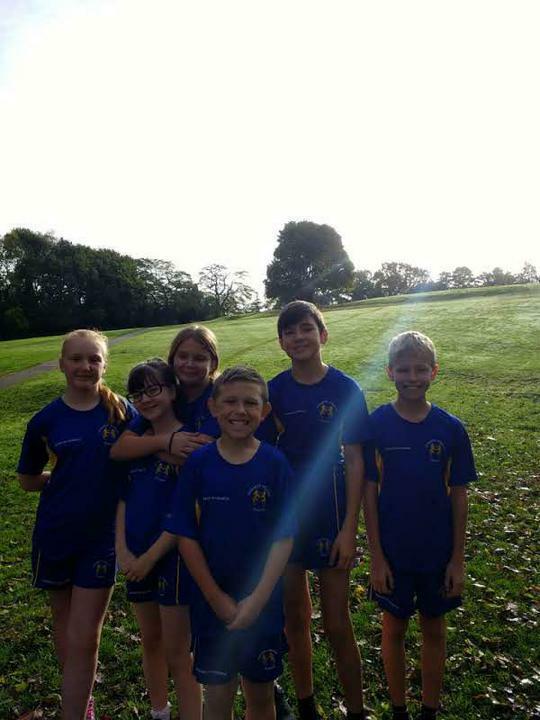 On Thursday 12th October Hogarth attended the Cross Country Competition at Brentwood Ursuline. The event was run by a group of Btec students from the high school and was extremely popular with the participants. Hogarth performed well and gave their all, with the boys team managing to claim 3rd place and the girls team just missing out against some very tough competition. 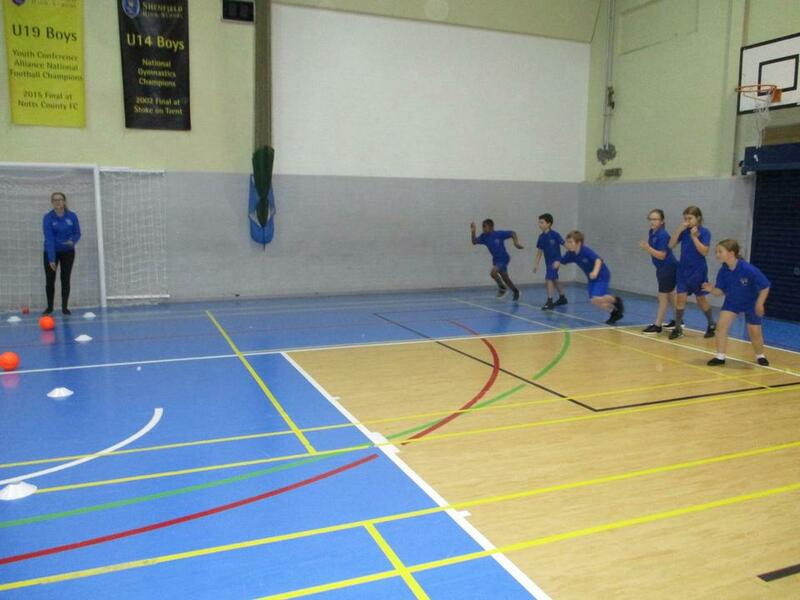 On Tuesday 31 October, Hogarth attended a Dodgeball tournament at Shenfield High School. 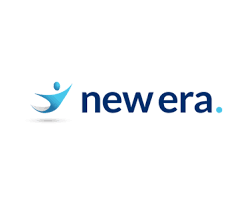 After a nervous start, the pupils improved performances by taking ownership of their learning. The team self assessed what was needed, used constructive feedback and encouragement, and then put it to the test in a game situation. This resulted in Hogarth winning their final 2 games! In November Hogarth entered the Essex region Panathlon for the first time in their history. It was a fantastic day for all involved with pupils taking part in a number of different events and even coming home with medals! Pupils from Hogarth visited Becket Keys school to learn and improve their Quicksticks hockey skills. The event was run by the Shenfield Partnership and Brentwood Hockey Club, with students from Becket Keys leading the drills and practice sessions. All the pupils had a fantastic time and even got to take some penalty shots against Mr. Spurling!